Visitation will be held on Friday Evening September 14, 2018 in Colonial, 86 Circular Avenue Hamden from 4-8pm. Funeral Services will be held on Saturday at Colonial at 9am. Interment will follow in Beaverdale Memorial Park. Cornelia Virginia (Mitchell) Leavitt-Scudder, age 92, of Hamden, entered into eternal life on Saturday September 8, 2018 YNHH (St. Raphael’s Campus). Born on August 6, 1926, in Brooklyn, NY, daughter of the late James and Nana (Gaskins) Mitchell. 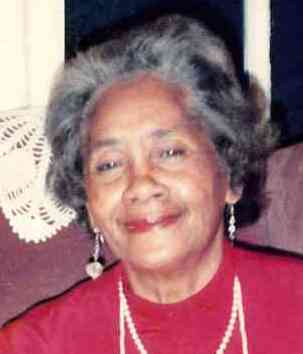 Cherished mother of Sloan Williams III of North Haven. Loving step-mother of David Scudder Jr. (Fiancé Martha) of Hamden, Jeffrey Scudder of Hamden, Rodney Scudder of Meriden, Phillip Scudder (Kathy) of PA., Daniel Scudder (Yvette) of NJ., and Millard Scudder (Jiyon) of Glastonbury. Also survived by 10 grandchildren, 5 great grandchildren, and a host of nieces, nephews, and cousins. She was predeceased by her late husband David Scudder Sr., and one sister Emma Huff. Cornelia was an educator and an international elector. She was a psychotherapist with a private practice for over 40 years, and worked at Agency on Aging of New Haven for 25 years. 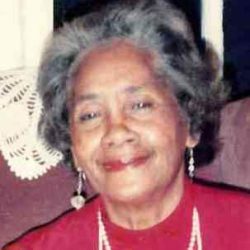 Cornelia was the Chairman of the Hamden Housing Authority. She was the Dean of White Pines College of New Hampshire and Director of a Satellite College of UConn in New Hampshire. She was the assistant for the commissioner of Mental Health for the State of CT. She also worked as a psychiatric social worker for Yale in the Triage office. She was an active member of United Church of Christ of New Haven, and then she declared herself a Bahi’ in 1969 where she was a prominent member and servant for close to 50 years.